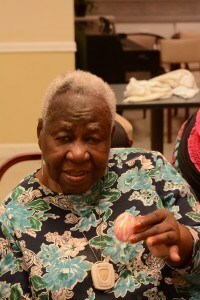 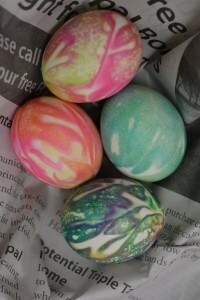 Residents enjoyed a special crafting activity when they learned how to tie-dye Easter Eggs in time for the holiday. 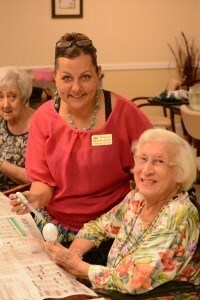 Resident program director, Michelle Hertz, was a wonderful instructor teaching the ladies the fine art of tie-dying. 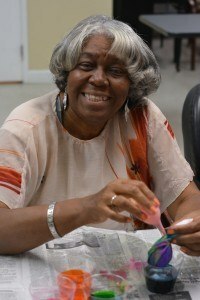 A tradition from Czechoslovakia, the ladies at The Peninsula enjoyed working with an eye-dropper, vibrant colors and hard boiled eggs and each creation was a work of art.